‘So… You Want To Develop Spiritually?’ is for the curious or the discerning, the spiritually fascinated or for those committed to feeding their soul. It is also for those who wish to teach others from the wealth of their own spiritual knowledge and experience. Whoever you are, you will not be disappointed. This book is crammed full of spiritual truths and everyday examples – like a very generously filled sandwich! 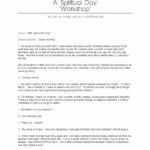 ‘So… You Want To Develop Spiritually?’ is a ‘fly on the wall’ development course in a book allowing you to learn, participate and listen to the spiritual journeys and experiences of others. Like them, you are encouraged to develop month by month, learning the art of communication with your spirit guides whilst discovering what it all means. 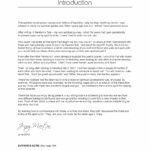 Medium Jenny Martin’s second book is based on a tried and tested method which has been extremely successful for nearly 20 years. This book is your spiritual companion and can accompany you on your spiritual journey. 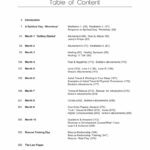 As you acquire knowledge and understanding of spiritual philosophy and a wide spectrum of spiritual disciplines, you will need to practice and, more importantly, put things to the test. Discover more and more about yourself and your connections to spirit and the spirit world. 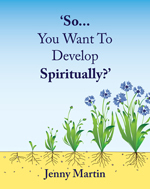 ‘So… You Want To Develop Spiritually?’ is not just a spiritual development manual but also about the truths of the spirit for you to adopt in your pursuit of happiness, confidence and most of all, inner peace. Spiritual communication isn’t just for the ‘gifted’, it is for each and every one of us. All you have to do is… want it! Jenny has helped me in so many ways and on so many levels. Jenny’s books have been very honest, open and she has bared her very soul. “So… You Want To Develop Spiritually?” is my personal spiritual reference library; it is the only book I will need! It not only has confirmations for me but makes perfect sense and puts all the missing pieces of the ‘jig-saw puzzle’ together for me. Jenny is a very kind, caring person and a true, loyal and loving friend. Jenny is like a mother hen (in the nicest possible way). She places you gently under her protective ‘spiritual’ wing, making you feel safe and secure. Jenny is like a ‘spiritual radox bath’. Hello Jen, I am finding your book an unusual read because of the energy that is attached to it. I also have the added advantage of hearing your voice as I turn each page, it is special and seems to be leading a life of its own. The cover is ideal to use as an aid to meditation, the eyes rest easily on the plants with their flowering heads and I find myself counting them. Every night when I close the cover I find myself remembering our time together and the wonderful visions that I saw. I am truly blessed. Jenny’s book was exactly what I had been searching for. The world of psychic development, can surprisingly lack Spiritual depth. 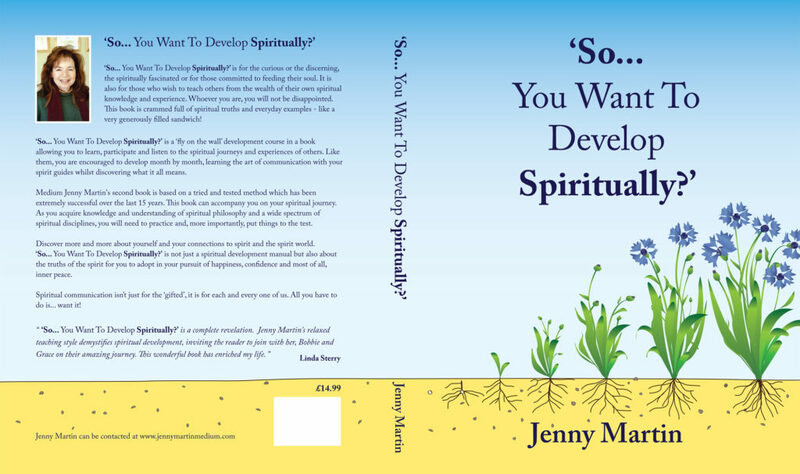 In her educational book “So…You Want To Develop Spiritually?” Jenny clearly differentiates a Psychic medium from a Spiritual (pyschic) medium. The latter is motivated by divine LOVE and can therefore channel very deep messages. Jenny reminds us about the necessity of a spiritual discipline that one must comply with if we are to truly evolve spiritually and truly help others to discover their own soul Path. We are Instruments of the divine and Jenny gives us clear tools to properly tune in. If you are ready for the challenge of self development, self discovery, please, attune to Jenny’s dialogue with her students and you will be truly inspired! “All you need is Love” Many thanks Jenny for being such an inspiring and loving teacher ! It’s brilliant! I feel like you are in the room with me while I am reading it, the next best thing to the real you. It’s almost like the I Ching… I can open to any page and there will be something that resonates, is relevant and rings true. The conversation I had with Elly recently was like an echo of your expressive and eloquently written section on love, particularly loving oneself, your voice a corroboration of the seeds of an idea we had started to explore. Other things I am internally wrestling with have been clarified and soothed. I like the format and conversational tone, it really works! The candid reactions and experiences of your students are very valuable too. There are layers of meanings and teachings here. As I say, I have yet to finish it, but you should be really proud of it… it has a sort of ineffable effect on the reader! 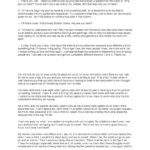 This is like a compendium of all the things I should have asked you about but never seem to get around to as we get sidetracked by other things. Also, I noticed today out on my dog walk such beauty! The park seemed such a stunning place on another level, and I think it was the effect of reading the book earlier. So, as you like to say… Well done, You! I was at a stage in my life where I wanted to explore who am I? It always amazes me that when you are ready to know or hear something in life, it appears. Yes, this book was published at the right time for me and has helped guide me onto a new path and meet new people. The meditations are a great way to start learning how to breathe and visualise scenes in your mind and the bonus of receiving little gifts just compliment your process and help you feel so appreciated and amazed at yourself on how you could possibly imagine the people you meet. This book builds your confidence and helps you identify between your own imagination and what is real communication from your guides, a problem I have always wanted to overcome. I consider this book a learning tool you can use alongside the guidance you have from the guides you meet; that helps you understand what these beautiful beings are trying to communicate with you. Jenny Martin is an extremely good teacher and has the ability to interpret what the reader may be asking at any point in her text. The written works are serious but achieved in a light hearted and relaxing approach as Jenny says “It is simple in spirit, only humans make it hard” so true!! I have not finished the book yet and would like to do another review when I do, but for now I am so loving the journey which has enhanced and given my life purpose. Thank you Jenny Martin for being in my life and for being such a true friend. Dear Jenny, I am so excited to receive your book. I started reading straight away and it makes me feel my time learning with you was yesterday and that I have taken up learning again. I feel energised and motivated and so happy to have your guides and your special way of teaching in a fab book; thank you, thank you, thank you… yes of course use my very true words and a few of my lady’s have taken your book marks and I shall take my book for them to glimpse at so they can see the bigger picture and hopefully be able to see how your wonderfull book can help them too. Thank you I feel I may need to ask you something soon, I don’t know what yet but knowing you are there makes me feel I have help and so do lovely people I know. I have started reading your book. It’s brilliant! Dear Jenny, I received the BIG book today, fabulous!! It looks great. I can’t wait to start reading it tonight. I will always treasure it. The reason I lent the book was because I was lucky enough to do your course and enjoyed your teaching very much. My friend asks me questions all the time that sometimes I can’t answer easily. So hey, here’s the book, you need to read this and you’ll start to understand that we all have the same questions, it’s just the answers we need. I’ll just have to read more of the book but I did really enjoy what I have read so far. As always Jenny, you make complicated issues so beautiful and simple to understand.